News about conferences and exhibitions that IDEAS attends and/or exhibits at. On Tuesday May 23 IDEAS will talk at the Space Engineering and Technology Final Presentation Days at ESTEC [REF1]. 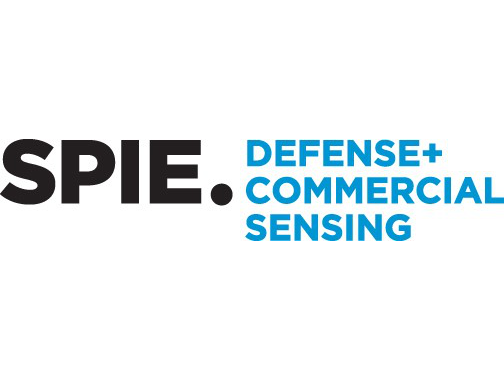 CNES, ESA, AIRBUS DEFENCE & SPACE, THALES ALENIA SPACE, SODERN invited to the 4th Toulouse CMOS image sensors workshop entitled “CMOS Image Sensors for high performance applications”, in Toulouse on November 18th, 19th , 2015. 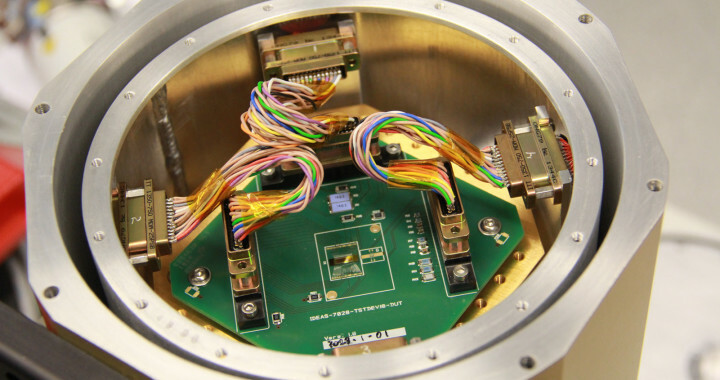 The aim of this workshop was to focus on those custom CMOS image sensors that offer high performance thanks to specific design, technologies/processes or on-chip processing. 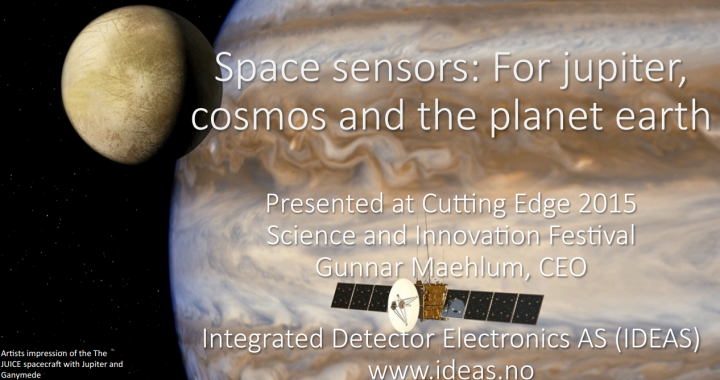 IDEAS CEO Gunnar Maehlum held a talk on the topic “Space Sensors: for Jupiter, cosmos and the planet earth” at the 2015 Cutting Edge Festival at the Oslo Science Park. 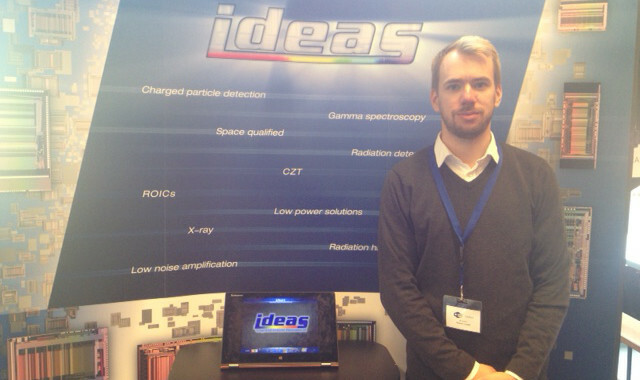 IDEAS is exhibiting at the 7th Annual European CubeSat Symposium in Liège, Belgium on the 9th to the 11th of September, 2015.